Dr Sebi’s Food Guide Explained! [ 6th September 2016 ] Raw FDA Data Proves MMS Kills 95% of Disease	G2 Voice "Jim Humble MMS A Cure For All Suffering"
[ 1st September 2016 ] Dr. Sebi | God Food, the Cure for AIDS, Cancer & Heart Disease – Pt. 1 of 2	Dr Sebi - "Let Food Be Thy Medicine"
[ 1st September 2016 ] Dr. Sebi | The Healer	Dr Sebi - "Let Food Be Thy Medicine"
[ 27th August 2016 ] Quantum Leap MMS Documentary – Official (2016)	G2 Voice "Jim Humble MMS A Cure For All Suffering"
[ 22nd April 2019 ] G2Voice Broadcast 136 – 135 LIFE-CHANGING topics covered on G2Voice 4-21-2019	G2 Voice "Jim Humble MMS A Cure For All Suffering"
HomeMy WealthBo Polny - Gold2020 ForecastJohn McAfee Blockchain Cruise Presentation | A New Age | A Good Feeling! John McAfee Blockchain Cruise Presentation | A New Age | A Good Feeling! Do NOT miss this presentation by John McAfee from the September 7-11, 2018 Mediterranean Blockchain Cruise! 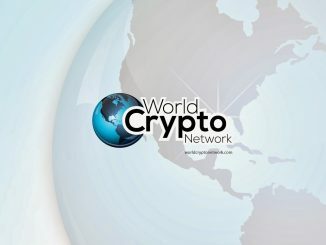 Bitcoin News #45 – BIP91 Lock In, Parity Hack, Crypto over Gold? It’s Now Officially a BEAR Market. What’s Next? 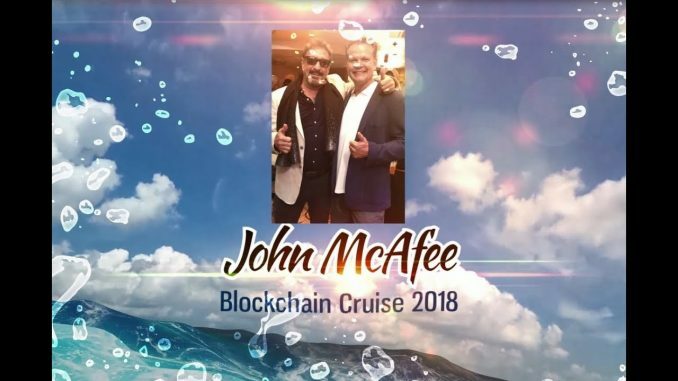 14 Comments on John McAfee Blockchain Cruise Presentation | A New Age | A Good Feeling! 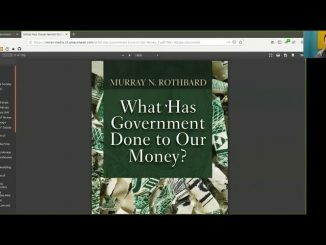 I like John McAfee’s deep voice, great presentation. I signed the Declaration of Currency Independence months ago! AWESOME AS ALWAYS BO!!!! HEALTH AND HAPPINESS ALWAYS MY FRIEND. BLESSINGS TO ALL WHO HAVE SEEN DA FUTURE, WHICH IS NOW! LOVE…..
and Bo are you ever going to respond to me for doing an interview? Cryptos are the devils tool. Gold is gods money! decide. ewmism You are correct! But not just yet. Crypto’s are first a way out. Thanks Bo, much appreciated 🙏🏻😃! But yikes, why do Leah and her Russian sidekick always have such a nasty Tone to them when they speak 🤨? I am quite sure were moving to a new age but I dont see it as a good one. I see a cashless society run by the bankers not we the people. I see people with embedded biometric chips with your ID, $, GPS. I see collectivism growing rapidly in the world and who runs collectivism Totalitarian Goverments. I see us racing towards the Tribulation period as stated in the Bible. Bible prophecy is unfire. I see the USA at war on our shores. Were going to have to fight for freedom. Who ever thinks bankers or the elite will give it all up over crypto is gonna wake up from there ladidadi dream. Its control the masses 2.0. Bo is literally a god send. Thx Bo! 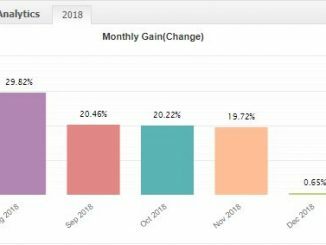 When Will I Change My Mind on Bitcoin? 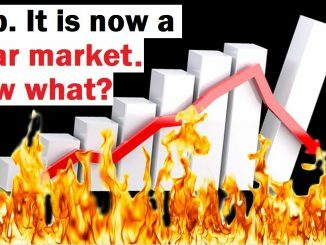 Are We in A New Bitcoin Bull Market? 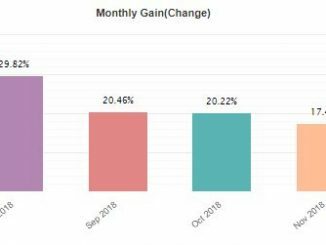 Will Bitcoin Provide a SECOND Chance to Buyers? Bitcoin Pushes Up These 2 Cryptos… What Now? 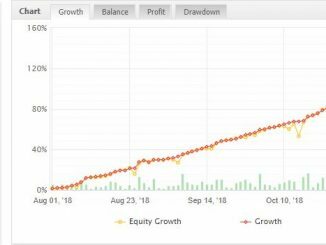 A respectable return of 169% ROI after 8 months trading. Would You Lend Yourself £1000 To Start A New Business? 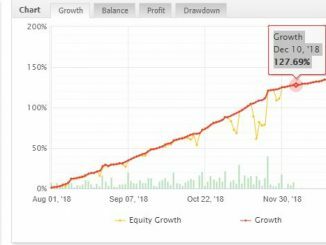 Forex EA Returns Over 20% pm On Autopilot – Safe & Transparent!